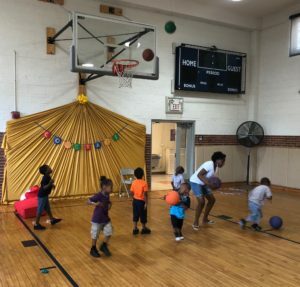 Step into the gym at CEOGC’s Outhwaite Head Start Center and you’ll see all smiles. 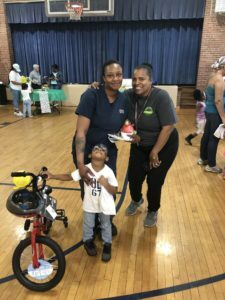 It’s a celebratory time as today commenced the beginning of “Family Fun Day” events, which will continue throughout the next few weeks at each of CEOGC’s 13 Head Start locations as students move on to Kindergarten. 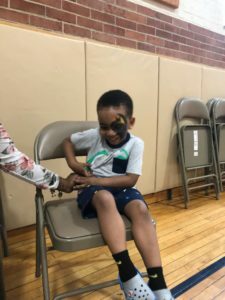 Parents were given the opportunity to mingle with their children and other students as they played games, shot basketballs, blew up balloons and received face paintings. One student managed to balance a ball in one hand while eating a rainbow frosting cupcake. Site administrators and parents were just as enthusiastic as the students were about the big party. Multiple staff members and family members could be seen hula-hooping, shooting jump-shots and attempting to block the shots of their kids. 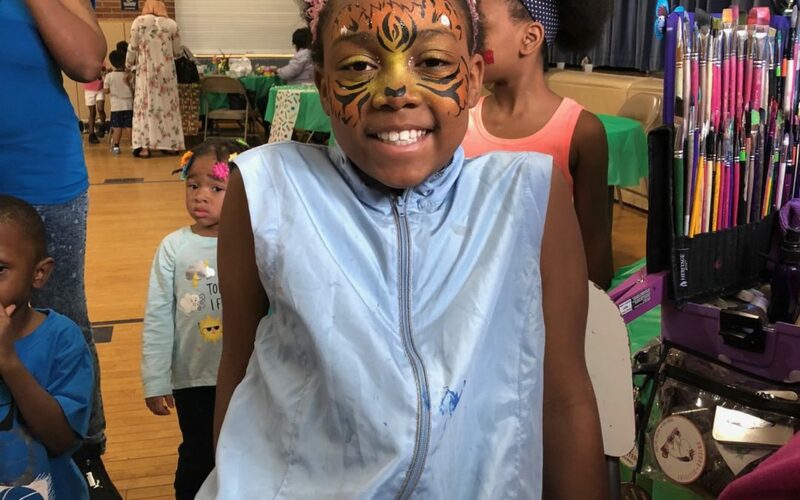 “With this program, my kids come home every day talking about what they learned, what they did and what they ate,” said Brett Thomas. Thomas has two kids that attend Outhwaite; his son Bryson and daughter Bailey. He raved about the program speaking high praises from his little ones. “My kids are always overjoyed and today they got rewarded for their hard work. Next stop is kindergarten,” he said. Stay tuned for more posts on other site Family Fun Days as we head into the summer months.